These Brochure Displays are Double-Sided for Maximum Exposure! 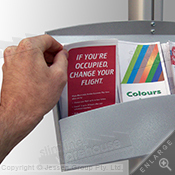 These literature holders, brochure displays stand at 1830mm to easily capture the attention of passersby. Informational materials can be presented at eye-level for easy interaction. 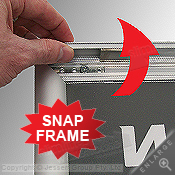 The brochure displays feature (6) adjustable shelves that are on both sides of the display. These shelves are made from powder-coated steel to make them durable for use in heavily trafficked areas just as retail stores and exhibition halls. 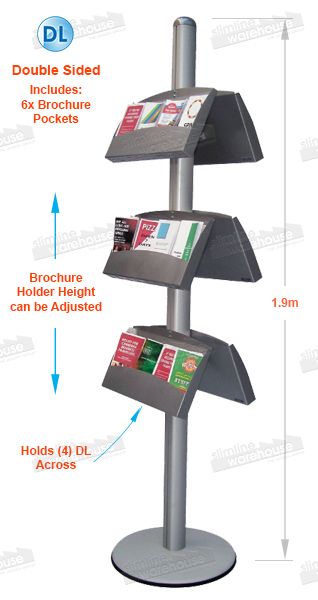 The leaflet stands, brochure displays use shelves that are angled upwards 25° for easier viewing. By adjusting each shelf, there are multiple display possibilities available to best suit your business. Literature holders, pamphlet stands, and other brochure displays can display up to (4) tri-fold A4 leaflets in each shelf. When totally full, these units can show 24 different informational brochures. 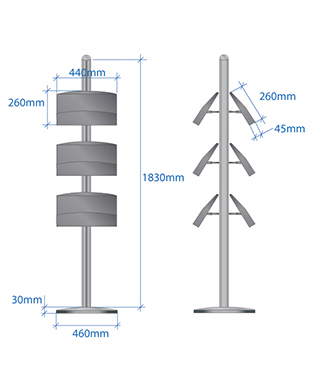 The brochure displays have an anodised aluminium pole and base that are quite stable to support items placed in the stand. The silver finish blends in with nearly any setting, making these units ideal for shopping malls, libraries, exhibition halls, and more. 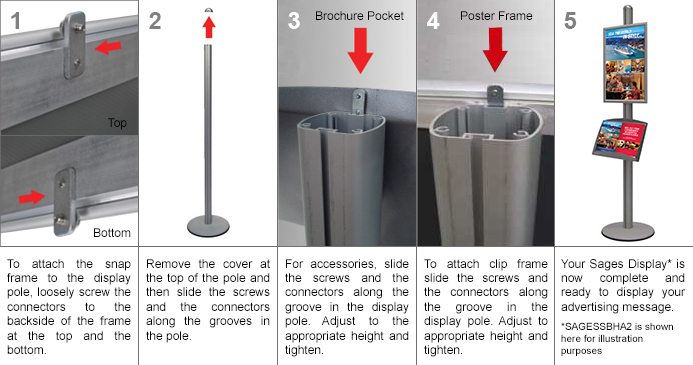 These promotional material holders, brochure displays have a unique European design that features quality construction that set the Sages Series apart from the competition. Using these units in your business or at your next event will help draw in customers and provide them with important information. The double-sided literature display ships unassembled, which means lower shipping costs. Included with each unit are set-up instructions as well as fasteners, allowing for assembly in mere minutes. Aside from these informational stands, a range of accessories & units featuring poster holders are available for purchase. For the whole range of available products from Slimline, see the main product listing Purchase these literature shelves for your business today, only from Slimline Warehouse!